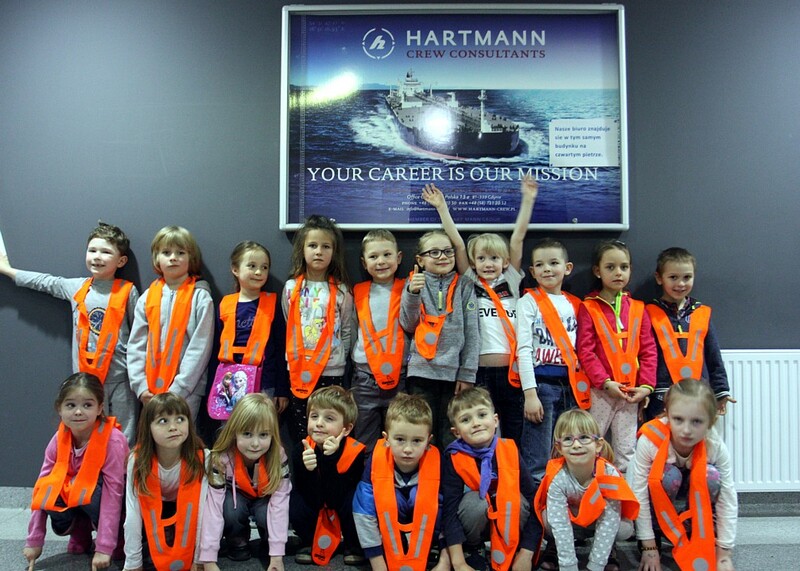 Gdynia Maritime School together with Hartmann Crew Consultants organized a tour in the school premises for children from Public Gdynia Kindergarten no 44. Kids had an opportunity to see a freefall life boat simulator (in action), wind farm generator, simulator of vessel’s bridge and engine. Children were fascinated. We are glad to promote work at sea as from the very beginning – among the children. Many thanks to director, teachers and staff of the School for making this visit possible and conducting in a such interested way.